A step towards making new life from scratch. What was once thought to be possible only through nature is now being created in the lab. Scientists from The Scripps Research Institute (TSRI) announced today that they have successfully created the first-ever, fully stable semi-synthetic living organism. In 2014, TSRI professor Floyd Romesberg and his colleagues led a study which resulted in the synthesis of a DNA base pair. A feat of its own, the team was now able to take those natural bases (A, G, C, T), and assemble a completely new bacterium. Their findings are published in the journal Proceedings of the National Academy of Sciences. This goes beyond previous methods of creating stable single-celled organisms, as these bacteria hold an extra pair of synthetic bases in their genetic makeup called X and Y. Cell division was difficult to achieve in this past experiment as the bacterium would divide, but would not hold the synthetic base pair during the process. With this new experiment, TSRI graduate student Yorke Zhang and American Cancer Society postdoctoral fellow Brian Lamb were able to find a way for the organism to retain the base pairs. First, they modified a tool called a nucleotide transporter, which makes it possible for the synthetic base pair to be copied across the cell membrane (when originally attempted in 2014, it made the semisynthetic organism very sick). This modification helped lead them to their success, allowing for an easier division while maintaining the X and Y bases. They then optimized their Y to make it more easily recognizable during the process. Finally, the researchers used CRISPR-Cas9 as a sort of “spell check.” CRISPR-Cas9’s original role in bacteria is to act as an immune response. When there is a threat such as a virus, it can essentially cut and paste the genome from the invading virus onto itself, and use it on the offense if it returns. The findings of Romesburg and his colleagues are groundbreaking. However, there are no plans to use this knowledge to create multicellular organisms. Romesburg emphasized that he works solely with single-celled organisms. This means that, at least currently, there are no applications for the bacterium. But we are one step further towards creating organisms that use and mimic our own biological processes. Although we are far off from assembling new organisms entirely from the ground up, this group of scientists is far from done with this research. 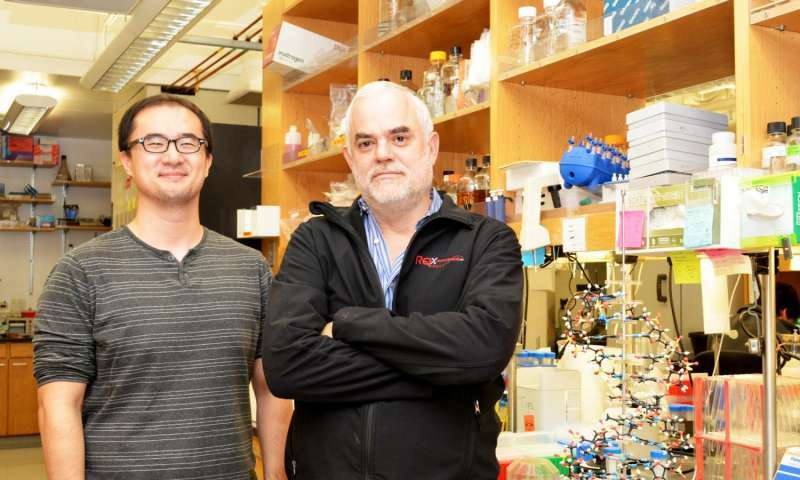 They hope to figure out how their genetic code can be transcribed into RNA, which would provide the foundation for the next steps going forward. This could be the groundwork for the future creation of organisms, but it could also provide more meaningful understanding of our own biology and universe.